It isn’t that often I allow my kids to stay up late, past their bedtimes, but I can tell when something’s bothering them, particularly when they want to talk. I don’t watch television as often as I used to do it, and most the time I’m up in the kitchen or picking up or one of the myriad of duties that go with keeping up a house that has four people in it. So this particular moment I actually was sitting on the couch, Friday night, no real motive or reason other than the fact that we’d cleaned up a lot of the house for my middle daughter’s forthcoming confirmation. That said, she came out from her room, a little apprehensive, and asked if she could talk with me. The weekend, though her Confirmation, also included her high school’s homecoming dance. Hannah is a mature and tall and very kind teenager…she’s also a bit confused when she gets on social media and sees all the other kids in her class talking about how excited they are to go with a date to the homecoming dance. When I was fourteen I don’t seem to remember being that into dating. It’s an odd phenomenon that I’ve noticed here on the West Coast where . . . particularly the private schools (though Hannah is in public school) the idea is that you cannot go to a dance unless you have a date. I find that an odd dichotomy to throw at your children. I’ve found that often some of the same parents who find the strangest things objectionable – like the school district in New Mexico that is temporarily banning the Neil Gaiman book Neverwhere because it contains a love scene – are all behind the “get a date or don’t dance” kind of philosophy. To me it sends the message that you should start dating, young, whether you’re mentally ready or mature enough for that or not. I get that some kids are mature enough. I also get that the idea is to stop kids from other schools from crashing the dances and making trouble. But I also remember nights where I had to comfort a child who was beside herself because she couldn’t go to the dance because nobody asked her. Hannah, on the other hand, looked at me and asked if something was wrong with her. “I mean . . . I don’t really want to go, Dad. I have three more years to go to the homecoming dance. I don’t really care.” In Hannah’s case, she could go without a date, but none of her friends wanted to go, either. She looked at me and wanted to know if there was a reason she should go. She smiled and her hunched shoulders relaxed. She seemed happier. Our discussion moved to whether she had enough friends or if she was a right fit for the public school and how different things were from the Catholic school she’d previously attended. “Hannah, let me tell you . . . whether your mother had been alive or not, I’d have told you flat out . . . you’re going to the public school.” She looked at me confused. 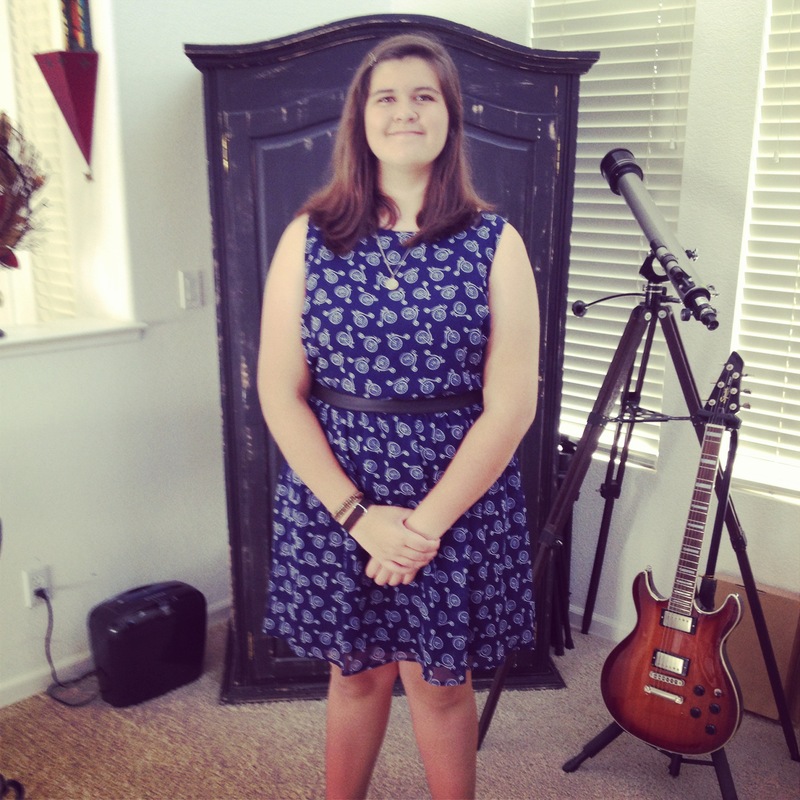 Hannah is a tomboy, loves Doctor Who, Sci-fi, music, classic rock and angst-driven alt-rock and hipster stuff. She likes vinyl, she listens to music at full-volume. She doesn’t think she has enough friends. Hannah kissed me on the cheek and said she was so happy she could talk to me about these things. And in the end . . . that is what me the happiest.